The seventh session of the World Government Summit began in Dubai on Sunday with the participation of more than 4,000 people from 140 countries. 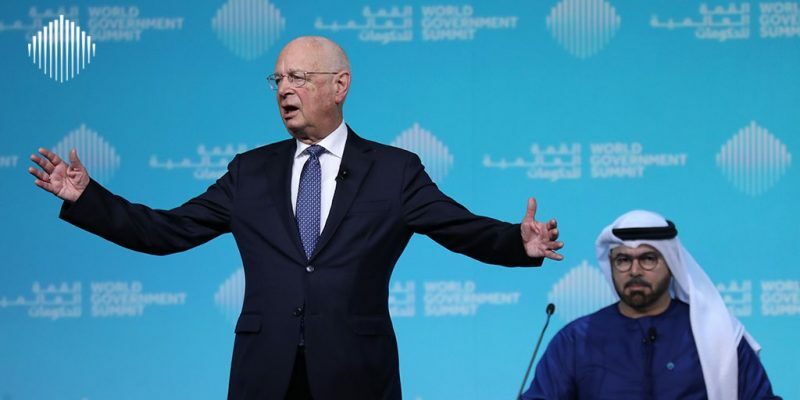 The summit kicked off with Professor Klaus Schwab, founder and executive chairman of the World Economic Forum highlighting the the impact of “Globalisation 4.0″. He urged global leaders and governments to address the issues posed by the fourth industrial revolution, stating that ‘Globalism 3.0’- the post-cold war period – had helped millions to get out of poverty but “left winners and losers”. “Globalism can’t keep delivering winners and losers. Those left out want to be let back in, they won’t tolerate anything else,” he said. “We must move away from crisis management to constructive management in the age of Globalization 4.0,” he added. Calling the World Government Summit⁩ the World Economic Forum’s “twin”, he stressed that our world is an interconnected and interdependent system. Drawing comparisons with corporate players, he said that Amazon spends $22bn and Google $16bn on research and development, with US businesses as a whole spending a total of $340bn on R&D. However, global governments only spent $54bn, he said. Gergawi also reiterated the importance of teaching children “the vital skill of creativity in this coming age of imagination”. The World Government Summit, which runs from February 10-12, includes 600 speakers ranging from heads of states, leaders and delegates and 30 international organisations. It will also see 20 reports published to help decision-makers and officials formulate future strategies.